Students from around the world have presented their visions of Łasztownia in Szczecin. These visions included a number of spectacular concepts, ecological visions, even ideas on how to use the assets of the underground Szczecin. This is the last stage before the grand competition in architecture and urban planning, scheduled for the end of the year, takes place. The implementation of the “Łasztownia. Nowe serce miasta” (“Łasztownia. The new heart of the city”) project will soon proceed to its key stage. 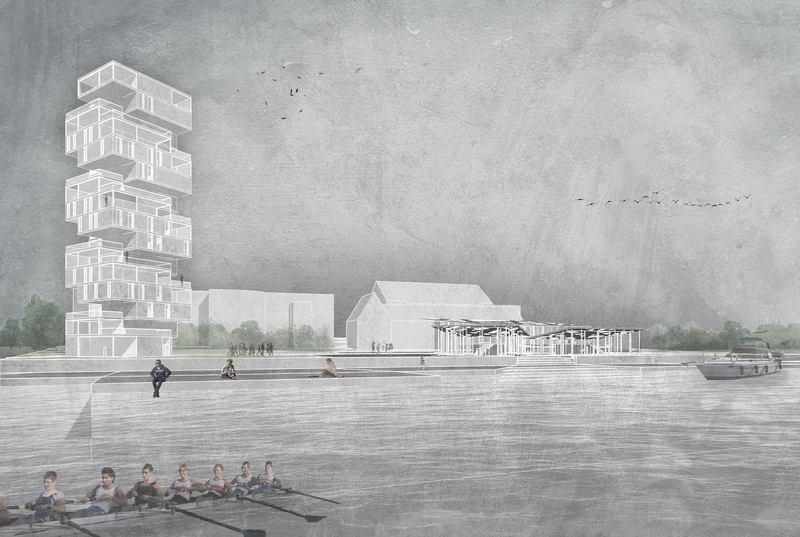 As part of the preparations for the international architectural and urban-planning competition for the development of the island’s territory, architectural students have developed their own visions of what the island and its neighbourhood could look like in the near future. The presented concepts will have the opportunity to be used in the process of setting out the rules of the competition which is to be announced at the end of the year. The projects were created at the KU Leauven in Belgium (Ghent) starting from Autumn 2015. 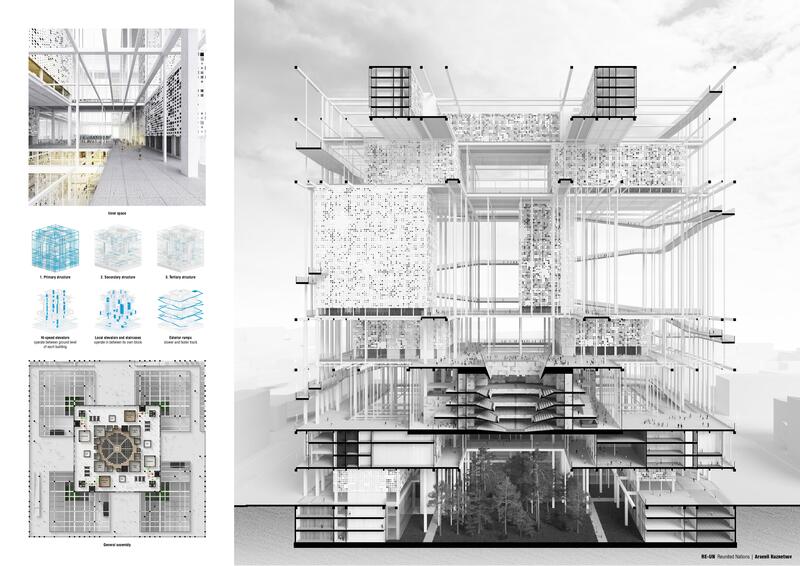 Their authors are architectural students from countries such as Vietnam, Slovakia, Spain, Germany, Turkey, Iraq. On 15 June the KU Leauven University held diploma theses defences with the participation of the Szczecin City Architect as a member of the diploma examination board. The students will present their projects in Szczecin directly after the theses have been defended. The students are accompanied in Szczecin by a renowned architect and academic teacher – Ms Martine De Maeseneer. Also the Mayor of Szczecin, Piotr Krzystek, attended the presentation of the projects. “Łasztownia is undoubtedly an area with the greatest potential in Szczecin. We can create a new part of the city starting virtually from scratch. This is a place which will become another of Szczecin’s landmarks, similar to HafenCity in Hamburg. This is why before we proceed to developing the island’s territory we wish to announce this grand architectural competition. We want to hand Łasztownia over to designers from around the world. Today we can experience a foretaste. It is our island that was selected by students from Belgium as the subject of their diploma theses,” said Krzystek. 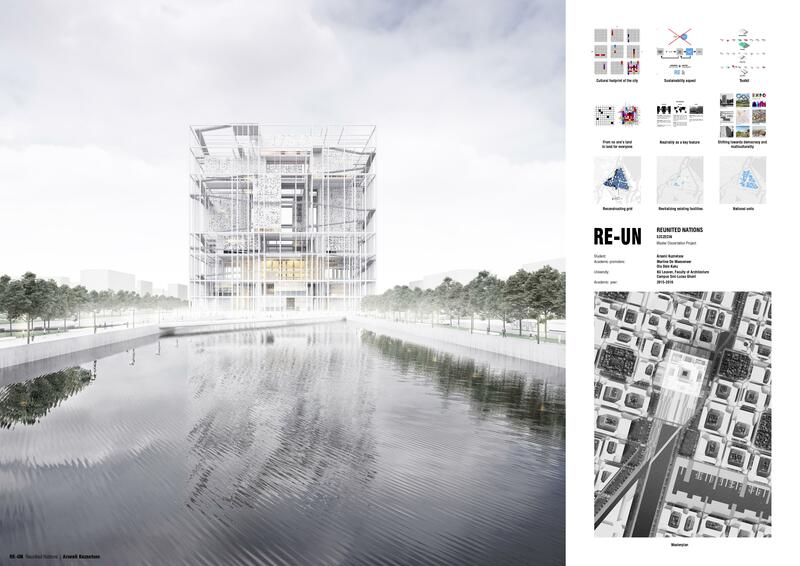 The relationships of Szczecin authorities with the KU Leuven university are the direct outcome of the New Hall of the Szczecin Philharmonic’s winning in 2015 the main award granted by the Mies van der Rohe Foundation cooperating with the European Commission. The presentation of the projects is one of the elements of the “Łasztownia. The new heart of the city” project whose objective is to restore Łasztownia island to Szczecin residents. It is also the next stage of the implementation of “Floating Garden 2050” brand. This is why the presentation was attended by the creator of the strategy, Wojciech Miernowski. “Szczecin owes the new perception of its identity to Wojciech Miernowski. He was also the one to notice the city’s strengths and make us realise them. Hence his presence here today,” continues the Mayor. When implementing its plans for revitalising and re-urbanising Łasztownia Island the City is simultaneously preparing future changes and investments in the area of Międzyodrze. Building the new Kłodny Bridge and reconstructing the road layout with a view to improving the availability of the port surroundings are an important drive in the development of this area. The task is scheduled to be completed in 2022.